Follow Norway’s fjord-carved coast from Bergen's colorful harbor past the North Cape to the Svalbard archipelago, an icebound wilderness that's home to Europe's largest concentration of polar bears. 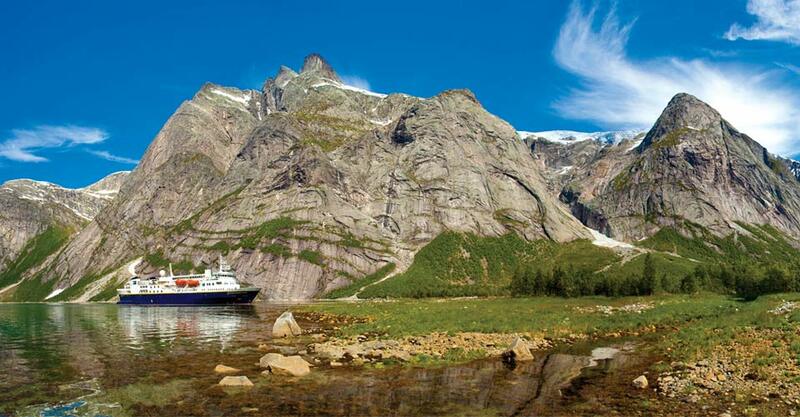 Our nimble expedition ship is the ideal vessel to trace the rugged coastline, cruising in and out of remote fjords hemmed in on either side by near-vertical walls of rock. Waterfalls plummet from on high, nourishing lush valleys where cows graze peacefully among turf-topped huts. Cross the Arctic Circle to reach the Lofoten Islands, whose razor-sharp peaks rise behind tiny villages like a scene from a Norse fairy tale. 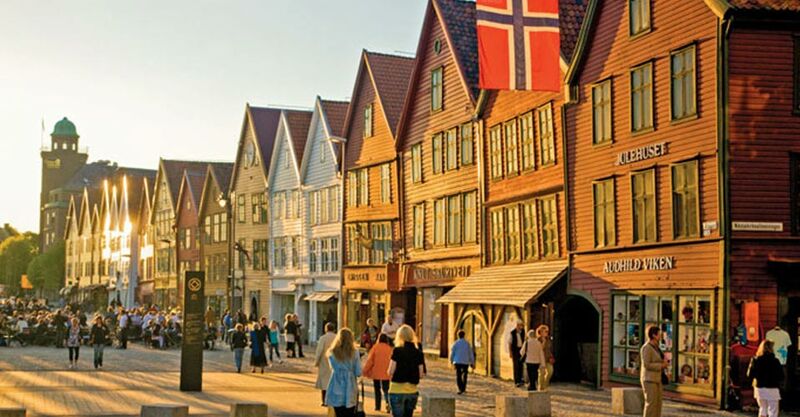 Continue to lively Tromso, largest city in Arctic Norway, and watch myriad seabirds nesting on Bear Island before crossing the Barents Sea to Svalbard, where polar bears prowl and walruses haul out on rocky shores. 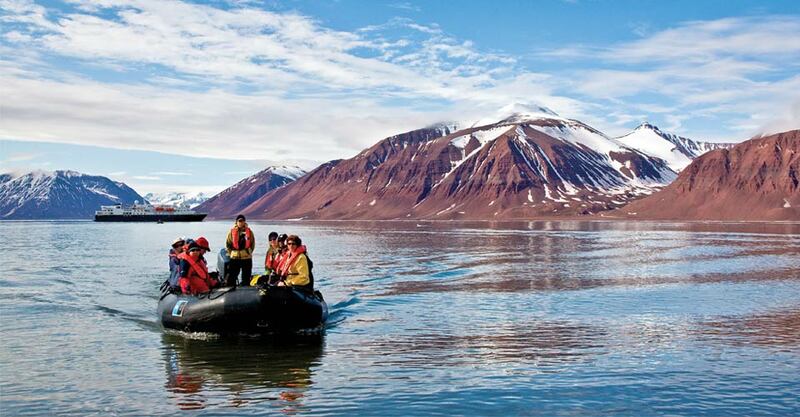 Lindblad's expedition ships offer an exhilarating, up-close experience of Norway's fjords and High Arctic Svalbard in a personalized setting. The relatively small size of our National Geographic ships makes them nimble enough to access narrow fjords and protected bays that bigger ships can’t reach, while full stabilization and state-of-the-art technology provide exceptionally safe passage. Guests can also count on personal access to naturalists, guides and crew. 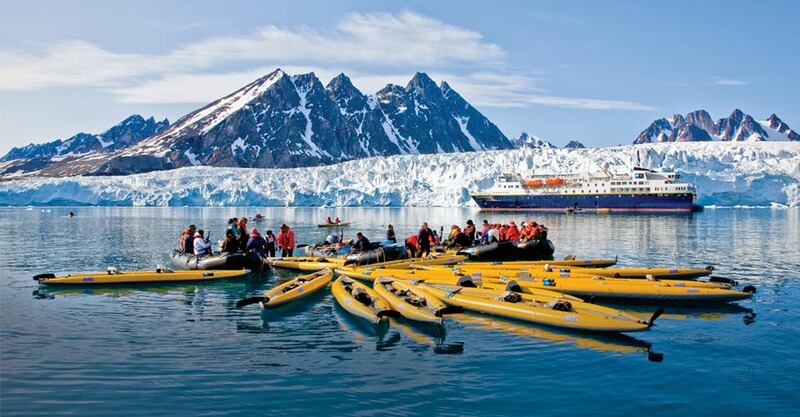 This adventure cruise offers a genuine expedition-style experience with a seasoned polar crew and staff. 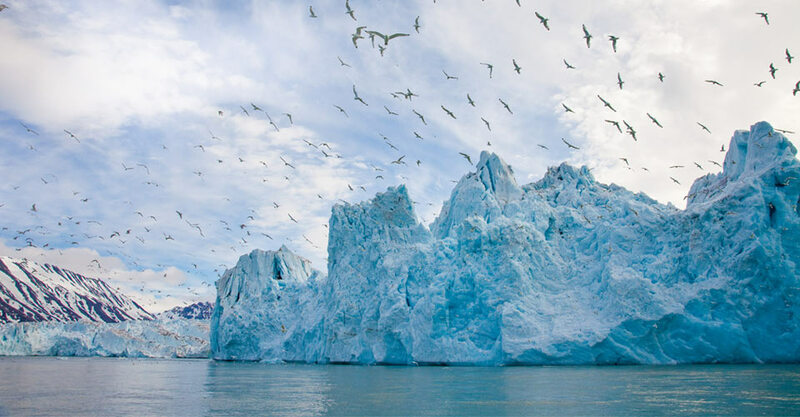 As pioneers in commercial polar cruising, Lindblad draws upon more than 50 years of experience navigating polar seas, assuring safe passage and an immersive adventure in one of the planet’s wildest landscapes. You'll sail on a state-of-the-art expedition ship with a veteran Expedition Leader, assistant Expedition Leader and a team of naturalists with diverse specialties. Lindblad's expert mariners have produced their own soundings and maps of areas that otherwise are not well charted, allowing its seasoned bridge officers to take you to lesser-known places in the Arctic that most travelers don't see. A National Geographic-certified photo instructor will help you capture outstanding photos of scenery and wildlife. In addition, Explorer travelers are accompanied by a Global Perspectives guest speaker for added advice and insight. Choose from a host of adventures that immerse you in the raw beauty and wildlife of coastal Norway and the Arctic wilderness, led by expert naturalists. Sturdy motorized Zodiacs grant access to cliffside bird rookeries and shore landings, while a large fleet of tandem kayaks offers close-up exploration of icebergs and marine life. Kayaks are chosen for their stability in polar waters, and since they’re virtually untippable, no prior kayaking experience is necessary. A custom-designed floating platform allows kayaks to be launched from most any location. The expeditionary nature of this journey allows for daily flexibility and spontaneity that are the cornerstone for genuine adventure. Our itinerary is focused on delivering a genuine immersion in nature and exhilarating wildlife encounters, with plenty of leeway built in to permit that. The Expedition team has the freedom to follow wildlife, linger longer in places of lively animal activity, or change directions in search of better weather and wildlife-viewing conditions, especially when we reach Svalbard. 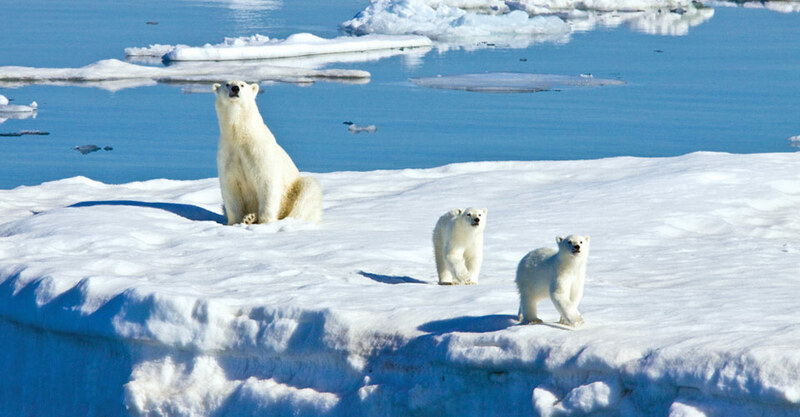 Whether it’s polar bear and walrus sightings from Zodiacs, a foray in search of Arctic fox and caribou, or watching for whales under the midnight sun, every day will expand your knowledge and appreciation for Arctic wildlife, natural history and native cultures. An undersea diving specialist travels aboard every voyage. Outfitted for polar waters and carrying nearly 200 pounds of gear, this special member of the expedition team shoots high-definition footage of a deep, frigid sea teeming with life, which is then shared on plasma screens in the ship's lounge—it's a whole new way to appreciate the marine environment! Plus, the ship’s remotely operated vehicle (ROV) dives up to 1,000 feet to view areas below the surface that are as unexplored as the moon. By sharing videos of potentially new species with scientists, such as a large worm our specialist captured imagery of in Antarctica's Weddell Sea, Lindblad voyages actively contribute to scientific research. Explore Norway's fjords and the High Arctic wilderness of Svalbard with a passionate team of experts whose knowledge will enhance your adventure and your comprehension of these northern environments. Travel with an Expedition Leader, a team of veteran naturalists, a National Geographic photographer, an undersea specialist, knowledgeable guest speakers, a video chronicler and a wellness specialist. 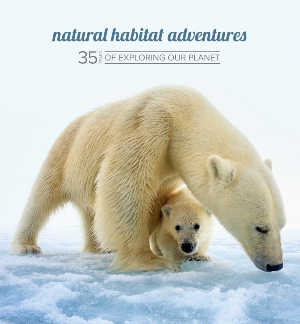 Your naturalist guides specialize in the Arctic, from wildlife biologists to ornithologists, marine scientists and polar historians. Fill out the form below to receive additional information about our Norway's Fjords & Arctic Svalbard or give us a call at 800-543-8917. Hi Nat Hab, I’m interested in your Norway's Fjords & Arctic Svalbard. Can you please contact me with more information?